One of the reasons why I decided to come to Silicon Valley 3 years ago was to learn and be inspired by the most talented innovators and entrepreneurs.The truth is that my experience so far has been tremendously enriching. Last week was one of those in which I felt very grateful for the opportunities that life is offering me in this part of the world. First, on Wednesday I had the chance to meet with Yves Béhar, the founder of Fuse Project. 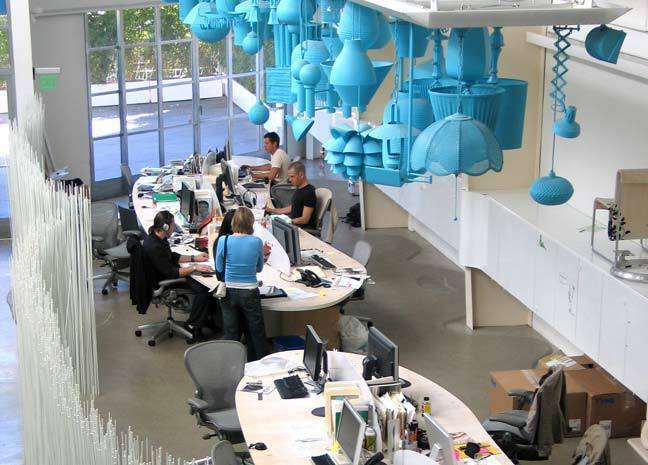 His design studio has become a reference in the human-centered design space. As Tom Kelley said: Through his San Francisco-based design and branding company fuseproject, the Swiss-born Behar has shown that a futuristic, hi-tech approach to design can be deeply humane. I had seen his TED talk on designing objects that tell stories, I admire his work and was very excited to meet him in person. We met in his San Francisco office in SOMA, a reformed industrial building that gathers engineers, designers and strategists. I loved the atmosphere and the lighting system that is a collection of lamps designed and built by the first employees. We had a very pleasant discussion about Innovalley, innovative startups and the future of wearable technologies. I had the impression he’s one of those visionaries who like staying down to earth. He’s a tech savvy and knows what he talks about. He gave me valuable feedback. I realized he enjoyed working with startups. In fact, Fuse Project has a disruptive programme -The Design Venture – that connects them with startups and creates profitable joint ventures. On the other hand, I hade the pleasure to met Mark Dwight, the founder and CEO of Rickshaw bags, which is an outstanding bag company. Its brand is strongly related to the city of San Francisco. 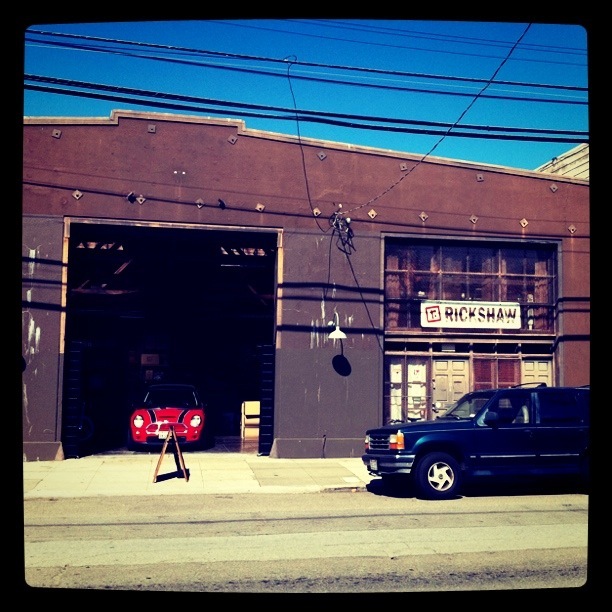 Sustainability, design and innovation are Rickshaw’s values. I had the privilege to visit their facilities, an old warehouse in the vibrant Dogpatch District where they create, test and produce their bags. Mark is a seasoned entrepreneur. He was previously the CEO of Timbuk2, where he led that company’s successful turnaround. The San Francisco bag company was acquired in 2005 by a San Francisco private equity fund. He left after the acquisition and, following his passion, decided to create his own bag company. “I love bags and the business of bags.” says Mark. I could tell because he talks about his innovative fabrics and designs with bright in his eyes. It was a great pleasure to meet both of you. Your energy, enthusiasm, focus and hard-work are a reference for young entrepreneurs. 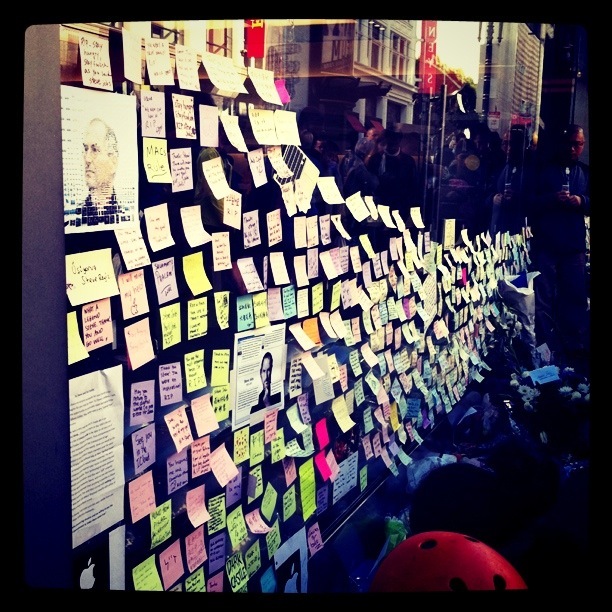 The Silicon Valley community, and the entire world, is mourning the death of the great Steve Jobs. It seems that even the sky wanted to commemorate his live with rain over the Valley. He’s probably the best entrepreneur we’ve ever had. An actual visionary. Not those who just have crazy ideas, but those who implement them. He didn’t only see the future, but made it present. As a young entrepreneur, there are many things that I’ve learned from him. In fact, he’s been a reference for the whole community. for reminding us that life is fragile but it’s worth living it with energy. I am happy you saw the project you created become the most valuable company of the world. You deserved that moment after a whole live devoted to disruptive innovation.